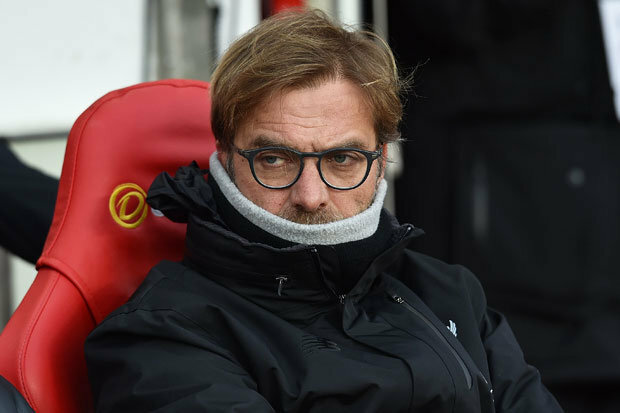 JURGEN KLOPP apologised for his foul mood after watching his Liverpool side throw away two points at struggling Sunderland. 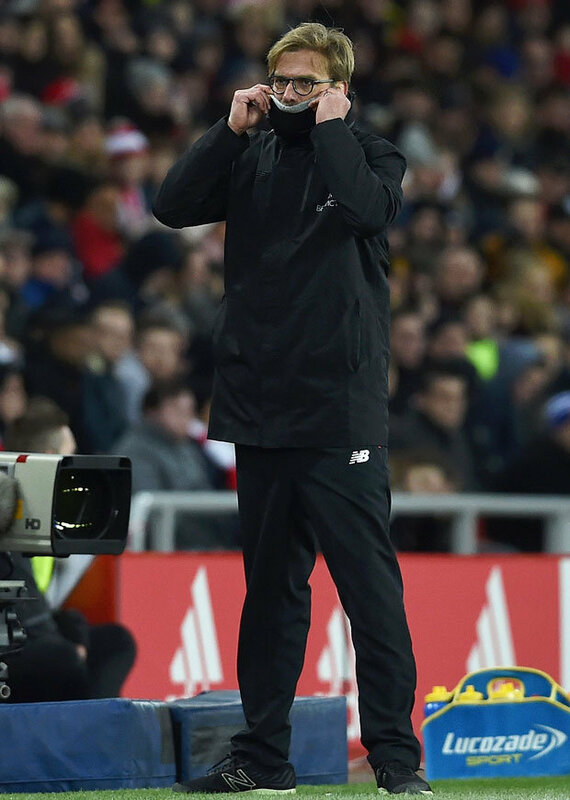 Following four straight wins, Klopp admitted the 2-2 draw at the Stadium of Light was “hard to take.”Twice, David Moyes’ relegation-threatened side came from behind through Jermain Defoe penalties after Daniel Sturridge in the first half and Sadio Mane had fired the visitors ahead. Liverpool could have cut the gap on leaders Chelsea to three points but if Antonio Conte’s side beat Tottenham tomorrow they’ll open up an eight point lead and the Reds have to play both them and Manchester United this month. 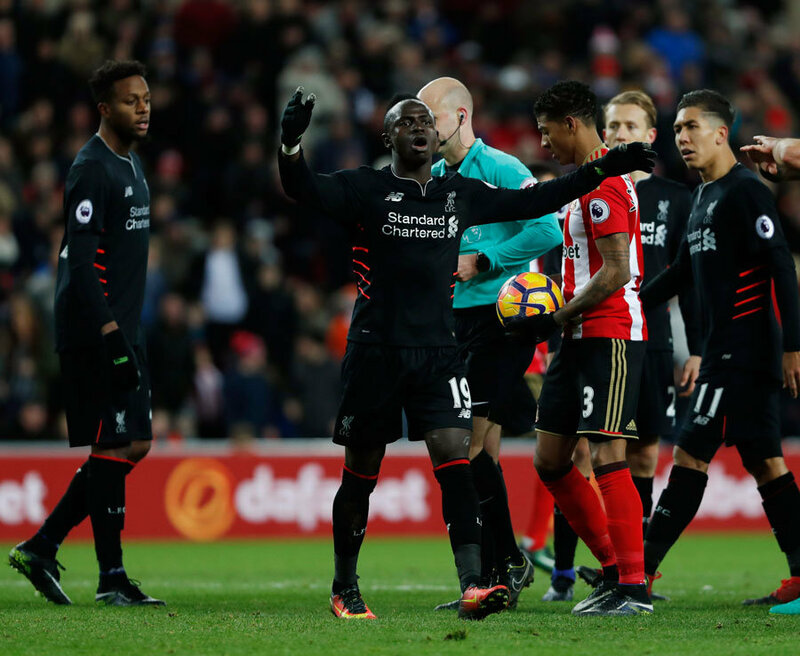 Klopp accepted both spot-kicks were correctly awarded but was furious with referee Anthony Taylor for the 83rd minute free-kick which led to Mane handlingSeb Larsson’s shot and Defoe equalising.“Sorry for my mood,” said the German, who earlier had rounded on one journalist for his line of questioning. “I’m disappointed we did not win. It does not feel good. 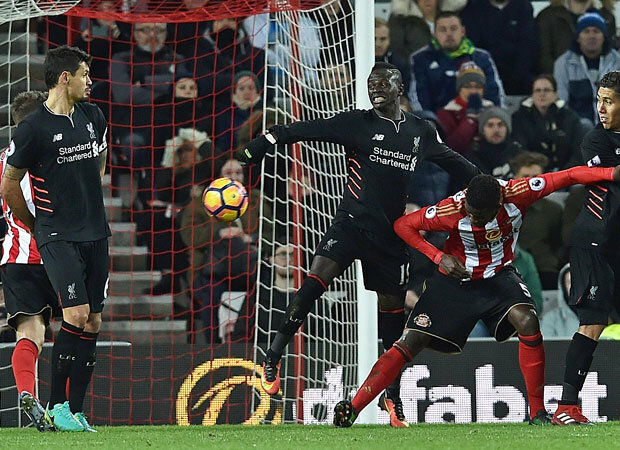 Asked if he blamed Mane for blocking Larsson’s shot with his arm, he said: “Oh my God, you want to start the year with a question like this! “Should I go in the dressing room and ask him why he put his arm out? Come on, that’s a reflex. “But if there’s no free-kick, there’s no handball.”Klopp had accused David Moyes’ side of being the most defensive he’d ever seen when they lost 2-0 at Anfield five weeks ago, a description which clearly still riles the Sunderland boss. In a dig at his rival, he said: “I’m feeling we weren’t too defensive today. James Milner came off at half-time with a calf injury while Sturridge, who scored on Wearside for the fourth successive season, came off late on after taking a knock on his ankle but Klopp claims neither is serious.